I have lived in Southwest Missouri my whole life. I'm blessed to have an amazing wife and three beautiful children. 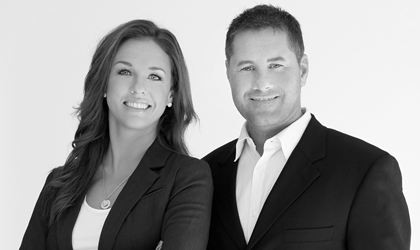 My wife Jess and I built the Bowman Agency from the ground up, compared to being handed an existing business like many of our competitors. We take great pride in building a relationship with each and every one of our clients, and love nothing more than being able to educate people about how their insurance works. Whether it is auto, home, life, or business insurance, the Bowman Agency is here to assist Springfield, MO and the surrounding areas with all of those needs. Give me a call at (417) 889-5000 and I'll be happy to answer any questions you might have. Working Together to Insure Your Future. If you're looking for great service, you've found the right insurance agency. The Bowman Agency has been helping people in the Springfield, Missouri area with their insurance needs for years. Read a few testimonials from our excellent clients! 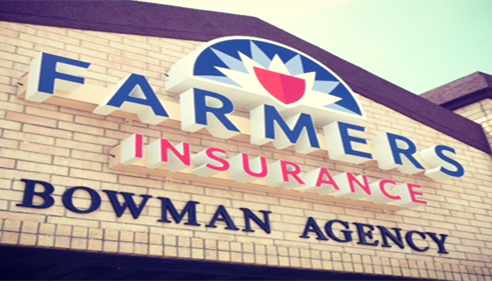 "The Bowman Agency is a trustworthy source for all your insurance needs. Their work ethic, follow up, marketing and great attitudes set them at the top of the insurance world! I highly recommend them." -Josh D. "You can't beat the service from Dustin & Jess. They go above and beyond. They have even helped me after hours while they were on vacation. 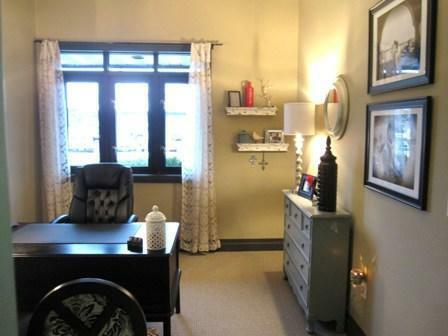 They are the best and I'd highly recommend their agency." -Dan C. "Thanks again for helping my clients. It's comforting that I can turn over clients to you two and know that they'll get a good price and the product they need. You are appreciated!" -Alan K., Keller Williams Realty Please give us a call today at (417) 889-5000 to see how we can help you! "These testimonials are based on the experiences of a few people and you may not have similar results." 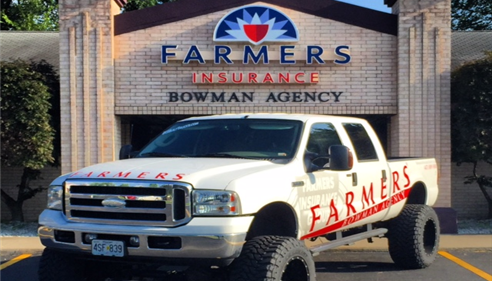 Why choose the Bowman Agency for your insurance needs? Because we're a local agency with real people here to help you. When you call us, you won't have to talk to a machine or someone in another country. Making sure you're properly insured shouldn't be left up to just anyone. 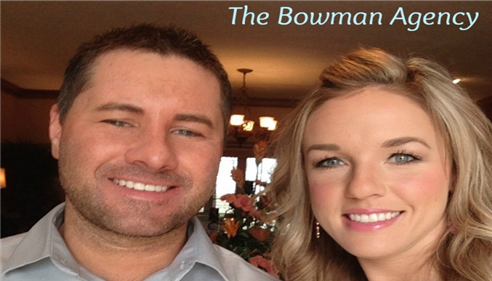 The Bowman Agency was started in 2010 by husband and wife team, Dustin & Jessica Bowman. Dustin had been a long-time customer of FarmersÂ® Insurance and was presented with the opportunity to start his own agency. Insurance is our passion and we take pride in truly protecting our clients assets. Having the proper insurance coverage is one of the most important steps your family can take. The time to choose the right insurance professional is before you need one. That's where the Bowman Agency can help. We are one of Springfield's leading insurance agencies for a reason. Helping people isn't just our job, it's our commitment. We look forward to helping you with your insurance needs! 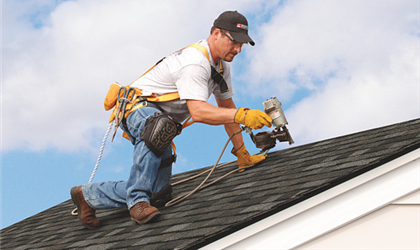 FarmersÂ® offers a competitive New Roof discount! If the roof on your home has been replaced within the past few years, give us a call to see how much we can save you on your homeowners insurance! Â²Discounts apply to selected coverages, perils and policy types. Eligibility and actual percentage of discounts may vary. 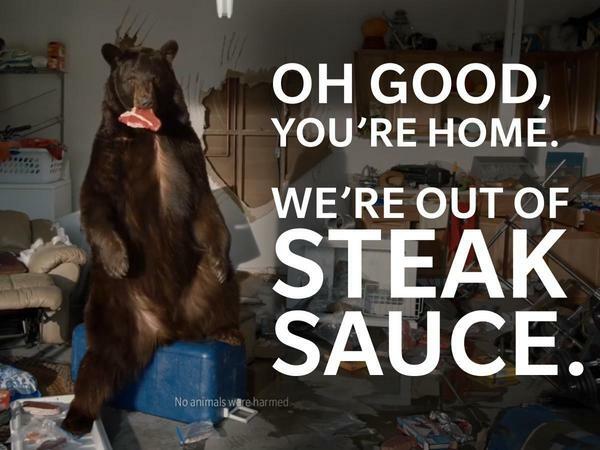 Our homeowners insurance dropped DRASTICALLY when we switched! We pay less than a third of what we were paying. Even though we are new to this agency, when I call about a question or need something adjusted, I am treated as though they have known me forever. I am very impressed with the service I have received and would recommend them to anyone! Dustin and his wife Jessica were more than helpful throughout the process of getting new Home/Auto insurance. They made it super simple and I would recommended them to anyone who is interested in switching or acquiring new insurance. Nice people. Stayed on top of everything we did. Quick response to any questions that I had. Very professional. like talking with a friend. they listen and explain in a way anyone can understand. Both of the Bowman's at this Farmers Insurance office are absolutely wonderful. I would strongly recommend them to anyone looking for insurance needs. I have had Farmers for many years, but these two agents have been the most sincere, helpful and efficient I have dealt with. They are why I am staying with Farmers! They have always been wonderful to work with . Really appreciate the honesty and your quick assessment to what's needed for me as far as insurance goes. Always prompt returning my calls. Dustin is very nice and he was easy to deal with. Dustin was able to answer any questions we had about policy coverage's. Dustin was very informative, patient, quick to respond and non-pressuring. this guy and his agency are the best. Very helpful. Got the best quote within a short amount of time. 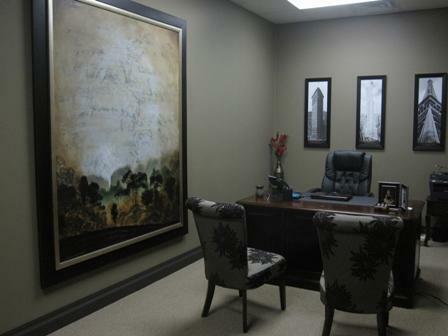 Bowman agency is very knowledgeable, professional and helpful. Jessica and Dustin have been great. I live a pretty busy life, but they were super quick to respond to emails and were flexible to my needs. Feels good to switch companies and they were a part of that. 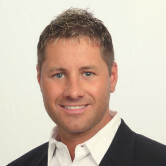 As a first time customer I very pleased with agent Dustin Bowman. He was very cordial and helpful in all aspects of selecting policy options. I would recommend him to my friends and family. He always responds to calls and concerns. Very knowledgeable and nice. Really showed his wish to assist us. 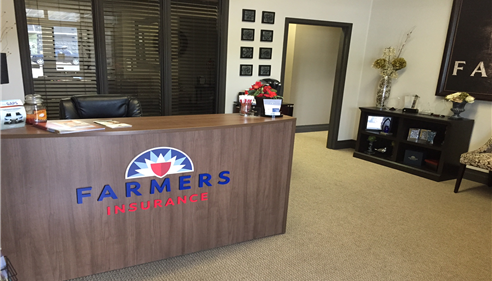 Our new sign with the awesome new Farmers® Insurance logo! The Bowman Agency office lobby. Come by and say hello! Jess Bowman's office. Stop by the Bowman Agency and say hello! Dustin Bowman's office. Stop by the Bowman Agency and say hello! The Bowman Agency truck. Give us a wave if you see it around town! 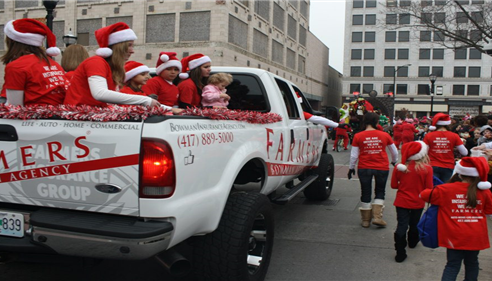 The Bowman Agency truck at the Springfield, Missouri Christmas parade. Dustin & Jess Bowman, here to help with your insurance needs! 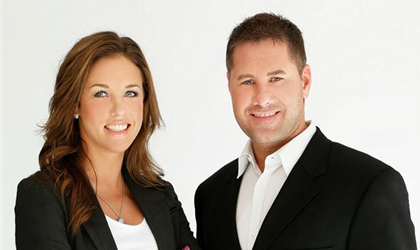 Owners of the Bowman Insurance Agency, Dustin & Jess Bowman. 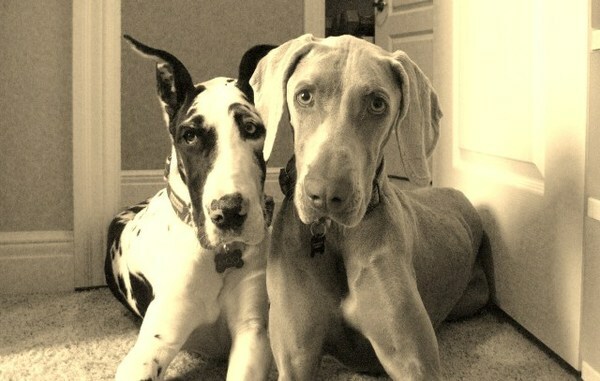 Our babies, Moo and Dallas.